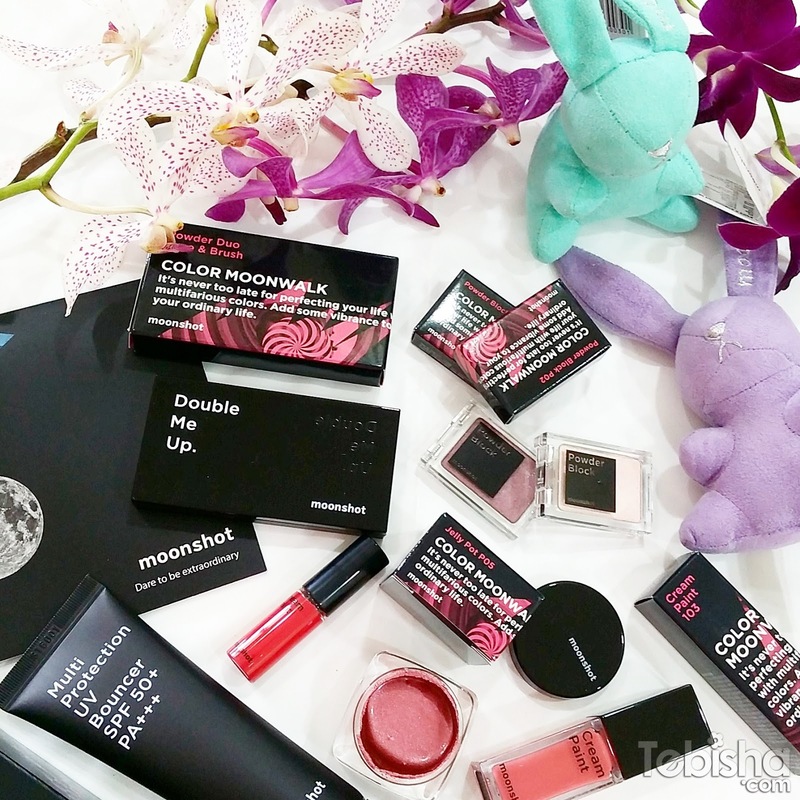 Korea well-known beauty brand Moonshot has arrived in Singapore! The popular beauty brand was established by Code Cosme under YG Entertainment which all K-pop lovers are familiar with. YG Entertainment produced popular K-pop stars Big Bang, 2NE1, Psy and many more. Moonshot was debut in South Korea October 2014 and has taken the Korean market by a big wave. About 17 moonshot products are available in Sephora Singapore under moonshot’s 3 signature categories: Condition, Prepare and Envolve. With moonshot’s bold, stylist, playful and unexpected brand image, you can expect vibrant colours and long-lasting multi-tasking products that provide a remarkable finish. I’m honoured to attend the launch at Sephora Ion last month, my friends and I were obsessed with the new makeup range especially the Jelly Pot! Items in the press kit: Multi Protection UV Bouncer, Jelly Pot – P05 (moon revenge), Cream Paint – 103 and 2 cute moonshot bunnies! Couldn’t resist the vibrant colours of their Powder Block, I bought 2 shades P02, L-P01 and the Powder Duo Case & Brush for the 2 powder blocks. Mini cream paint was a gift when your purchase 2 or more moonshot items. Can be a primer or sunscreen before foundation, super light and moisture gel type texture. Contains internationally renowned superior quality sparkling water from Harrogate England and hypoxic water from Jeju Island that provide instant cooling effect. It’s non-greasy and non-sticky, suitable for all skin types. Swatches for Cream Paint – 103, Powder Block P02, L-P01 and Jelly Pot – P05 (moon revenge). Both Jelly Pot and Cream Paint are multi-use items. Cream Paint with a finger-shaped applicator, can be use for lips, cheeks and face. There are 8 shades of glossy texture and 8 shades of matte texture, a variety of colours for you to choose from. Highly pigmented and long-lasting! Cream Paint 7.5ml – $36 each. Jelly Pot same as Cream Paint its a multi-use item for face and body. 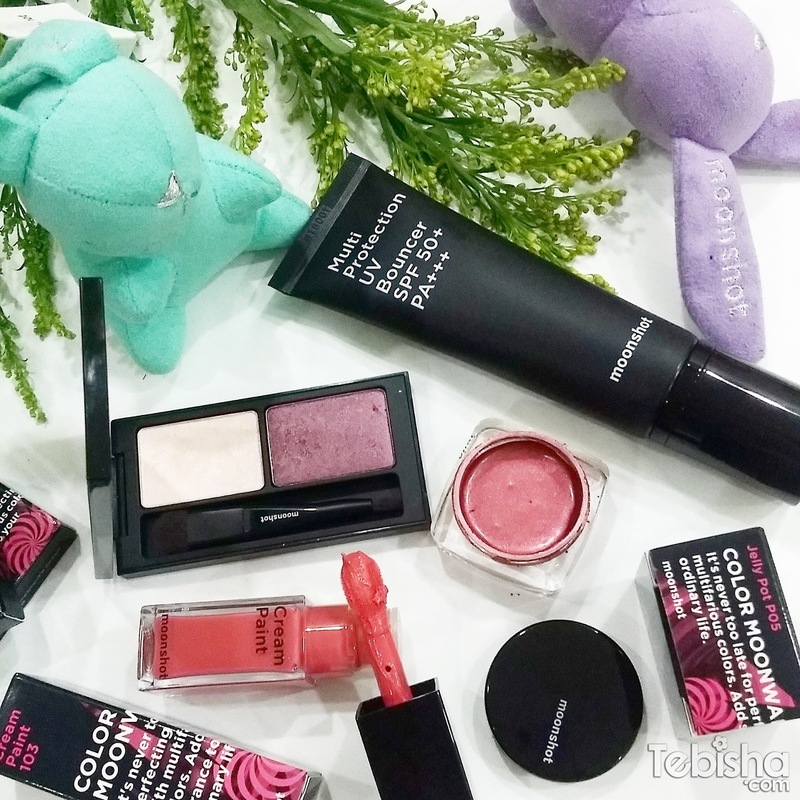 The jelly-like cooling texture is highly pigmented and fixes on skin without creasing. Can be use as eyeshadow, cheeks, face and even nails! There are a total of 20 vibrant colours available in SG, 10 matte and 10 pearly. Go and test it out at the moonshot shelving you will know what I mean. Moonshot Jelly Pot will never disappoint you. Powder Block a single eyeshadow that comes in matte and pearly texture. It stays on my skin the whole day without touching up. Easy to apply and has a strong fixation that sets extremely well on skin. You can create a person DIY duo palette just like me, a total of 20 shades available in SG. Powder Block 2.7g – 5g – $17, $19 and $22. moonshot is now available at Sephora Singapore. Thanks Yvonne for bringing me to the event and ST Paramount for the press kits.